Open source intelligence (OSINT) and web reconnaissance are rich topics for infosec professionals looking for the best ways to sift through the abundance of information widely available online. In many cases, the first stage of any security assessmentâthat is, reconnaissanceâis not given enough attention by security professionals, hackers, and penetration testers. Often, the information openly present is as critical as the confidential data. Hacking Web Intelligence shows you how to dig into the Web and uncover the information many don't even know exists. The book takes a holistic approach that is not only about using tools to find information online but also how to link all the information and transform it into presentable and actionable intelligence. You will also learn how to secure your information online to prevent it being discovered by these reconnaissance methods. Hacking Web Intelligence is an in-depth technical reference covering the methods and techniques you need to unearth open source information from the Internet and utilize it for the purpose of targeted attack during a security assessment. 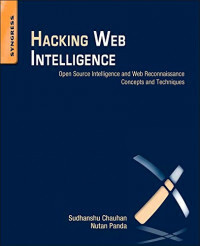 This book will introduce you to many new and leading-edge reconnaissance, information gathering, and open source intelligence methods and techniques, including metadata extraction tools, advanced search engines, advanced browsers, power searching methods, online anonymity tools such as TOR and i2p, OSINT tools such as Maltego, Shodan, Creepy, SearchDiggity, Recon-ng, Social Network Analysis (SNA), Darkweb/Deepweb, data visualization, and much more. The classic handbook to audit committee responsibilities—completely updated to cover the latest guidance with practical insights on the new functions of the audit committee.